This book is about the inner workings of one of nature's most complex animal societies: the honey bee colony. It describes and illustrates the results of more than fifteen years of elegant experimental studies conducted by the author. In his investigations, Thomas Seeley has sought the answer to the question of how a colony of bees is organized to gather its resources. The results of his research--including studies of the shaking signal, tremble dance, and waggle dance, and other, more subtle means by which information is exchanged among bees--offer the clearest, most detailed picture available of how a highly integrated animal society works. By showing how several thousand bees function together as an integrated whole to collect the nectar, pollen, and water that sustain the life of the hive, Seeley sheds light on one of the central puzzles of biology: how units at one level of organization can work together to form a higher-level entity. 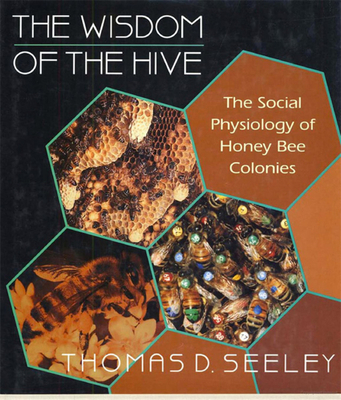 In explaining why a hive is organized the way it is, Seeley draws on the literature of molecular biology, cell biology, animal and human sociology, economics, and operations research. He compares the honey bee colony to other functionally organized groups: multicellular organisms, colonies of marine invertebrates, and human societies. All highly cooperative groups share basic problems: of allocating their members among tasks so that more urgent needs are met before less urgent ones, and of coordinating individual actions into a coherent whole. By comparing such systems in different species, Seeley argues, we can deepen our understanding of the mechanisms that make close cooperation a reality.